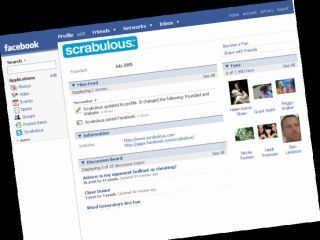 Hasbro has decided enough is enough and has thinks it is best to sue the India-based brothers behind the Facebook phenomenon, Scrabulous. The owners to the rights of Scrabble in the US are suing the brothers Rajat and Jayant Agarwalla for copyright infringement, and have fired a DMCA (Digital Millennium Copyright Act) to Facebook to take the game down. Hasbro has grown tired of the game aping the design and rules of the popular letter-based game, and wants Facebook to act, while the site would prefer to just hold up its hands and say it doesn't have anything to do with it. There is still hope a settlement can be reached, but should the brothers survive the lawsuit, as seems likely, the chances are another game will be ready to fill the void as soon as the former goes down. Alternatively, Hasbro could just fill the game with Qs and Zs, thus destroying any hope of anyone ever playing properly again.